Anyone who has spent time on an airplane in that suspended state between boredom and industrious activity has probably taken a few moments to thumb through the SkyMall catalog found in every airplane seat back pocket. In it, one finds travel items like luggage and tummy tuck bands to make the business traveler look slimmer than their lifestyle allows. 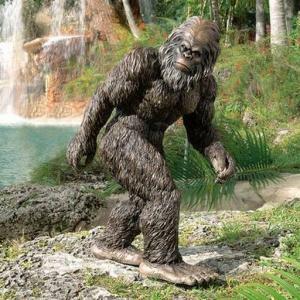 Perhaps best of all is the collection of lawn ornaments like the life-size Yeti. Alas, SkyMall has fallen prey to changing customer habits and a concentrated business model, and as a result the company recently filed for bankruptcy. One big driver was probably losing two major customers (Delta and Southwest Airlines), because as any community bank knows, businesses who serve a concentrated industry and lose important customers are at risk. Not every measure of a company's earnings and profitability clearly point to weakness in its business model though. Consider that while declining success usually turns up in earnings metrics, it likely does not tell the whole story. Let's look at one metric commonly used by community banks (and investors) to gauge success vs. peers - Return on Average Assets (ROAA). ROAA is the standard form of measurement for determining how well a bank is doing on its allocation of assets as related to overall profitability. As our readers know, it is calculated by dividing bank net income by its average total assets. It is typically calculated and reported on a quarterly basis and is a common metric used to measure performance. At some level, it also provides an opportunity to compare one bank to another as well. A steadily rising ROAA indicates that a bank is spending less to generate each dollar of revenue it earns. The problem with this metric of course is that it does not take into account the risk inherent in those assets. So, a bank with a 0.50% ROAA might for example carry a ton of Treasuries, while another bank with the exact same ROAA may be loaded up with riskier assets that could lead to loses as markets shift around over time. So while ROAA is often used by the industry as a metric, but we must not forget it does a poor job of analyzing the risk of the assets that is generating the indicated return. Care should be taken in putting too much emphasis on it as a result. Conversely, one could argue a much better metric for bankers might be return on risk-weighted assets (RORWA). This is because at least RORWA takes into account balance sheet management and risk in relation to revenue generation and costs. Consider these additional points from management consulting firm Bain & Company related to the power of RORWA. They point out it is a good index because it tracks how well a bank manages its balance sheet and appetite for risk; it gives managers insight into whether they are properly pricing offerings to reflect their risk and cost; it shows how well a bank is allocating capital to business areas and products that generate higher returns; it guides decisions on how a bank factors in risk to its cross-selling opportunities that bring in fees, commissions and other revenues; it reveals the cost efficiency per unit of risk for the volume of business a bank generates and it shines a light on the cost of risk by disclosing how well a bank is able to minimize its loan-loss provisions on a risk-adjusted basis. Perhaps it is time to shift from the baseline simplicity of ROAA to RORWA in order to get a better gauge of the risk-reward tradeoff in the industry right now. Then banks can understand the trends and determine the difference between risky growth and intelligent growth. Better measures might have helped SkyMall understand the sweeping industry changes and the concentrations that made its business model increasingly risky. In the meantime, we are sorry to have missed out on ordering the Zombie from the Moors for our garden ornament collection. Treasury yields saw a 2bp lift by the end of the day as personal income came in slightly above market expectations. Yields are currently up 3bps due to positive steps made by the Greek government to manage the country's debt. 1) The Seminole Tribe of Florida last year had expressed interest in buying Mackinac Savings Bank ($111mm, FL) but has now withdrawn its agreement. The Seminole Tribe did so reportedly because it would have faced expanded lending restrictions under banking regulations. Old National Bank ($11.0B, IN) will sell 12 branches in IL to First Mid-Illinois Bank & Trust ($1.6B, IL), and will also sell 5 other branches in IN and OH to MainSource Bank ($2.9B, IN) for an undisclosed sum. Old National Bank ($11.0B, IN) said it will also close or consolidate another 19 branch locations (which is in addition to the 17 branches it is selling above) in the coming months. Firstmerit Bank ($24.6B, OH) said it will close 16 branches in four states (4 in IL, 4 in MI, 7 in OH, 1 in WI) as it responds to changing customer trends and increased use of online and mobile banking. A group of recent Fed speakers finds: SF Fed President Williams (mid-year remains likely for first rate hike; Q4 GDP does not suggest a slowing in momentum; economy has a lot of strength; factors holding down inflation are transitory); Philadelphia Fed President Plosser (policy tightening should commence; disinflationary forces are being driven by transitory effects); and St. Louis Fed President Bullard (rates should begin moving higher or asset bubbles may occur; keeping interest rates near zero is not the right rate for this economy; there are a lot of good things going on in the economy; the Fed should increase rates by the end of Q1 given strong gains in hiring and solid economic growth).